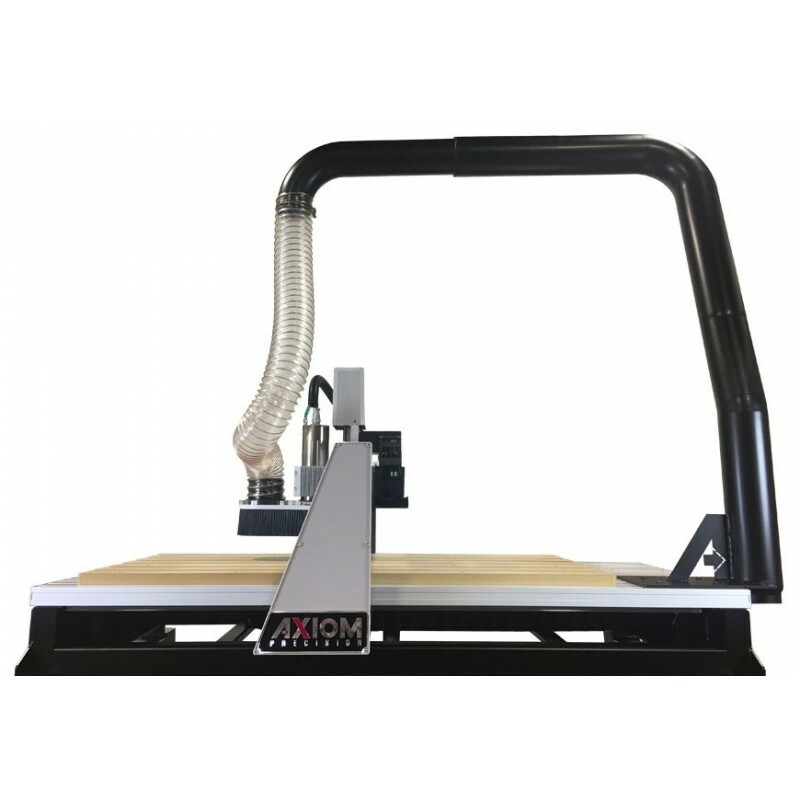 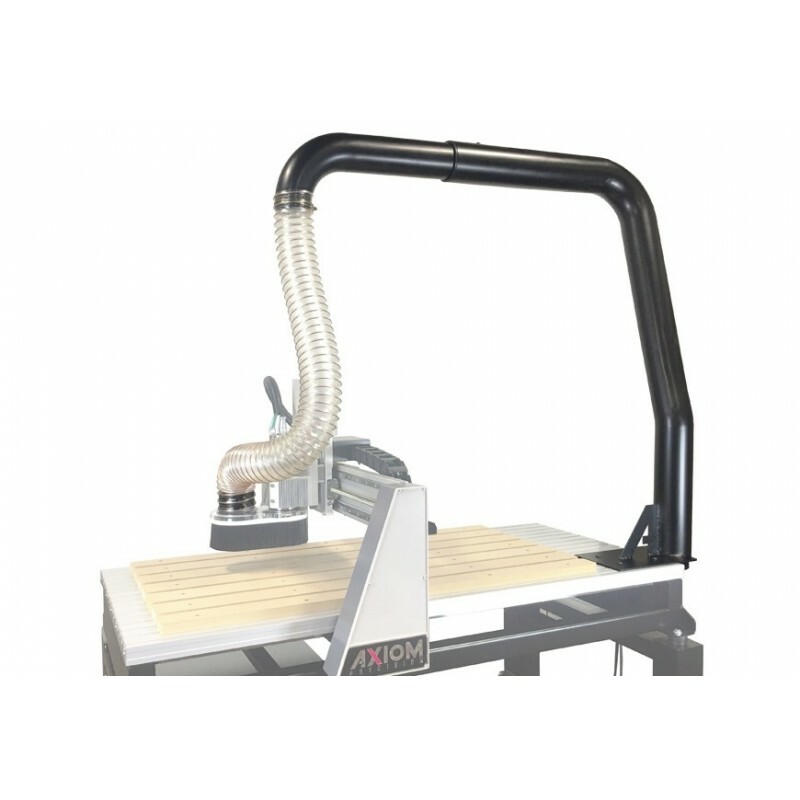 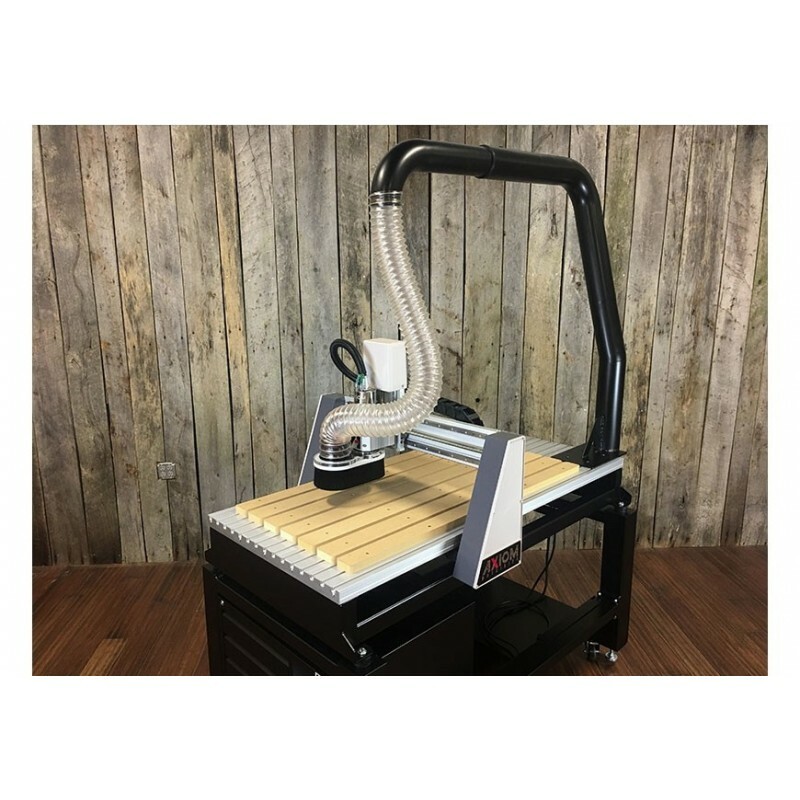 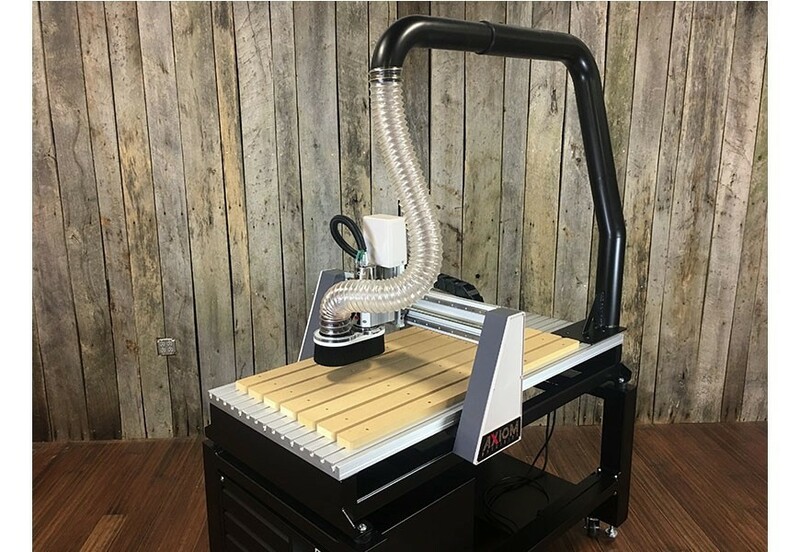 The Axiom Overhead Dust System includes everything you need to connect to your ADS220 dust shoe, including mounting hardware, flex-hose and hose clamps, and is adjustable to fit any Axiom AR4, AR6, AR8 or AR16 CNC router. 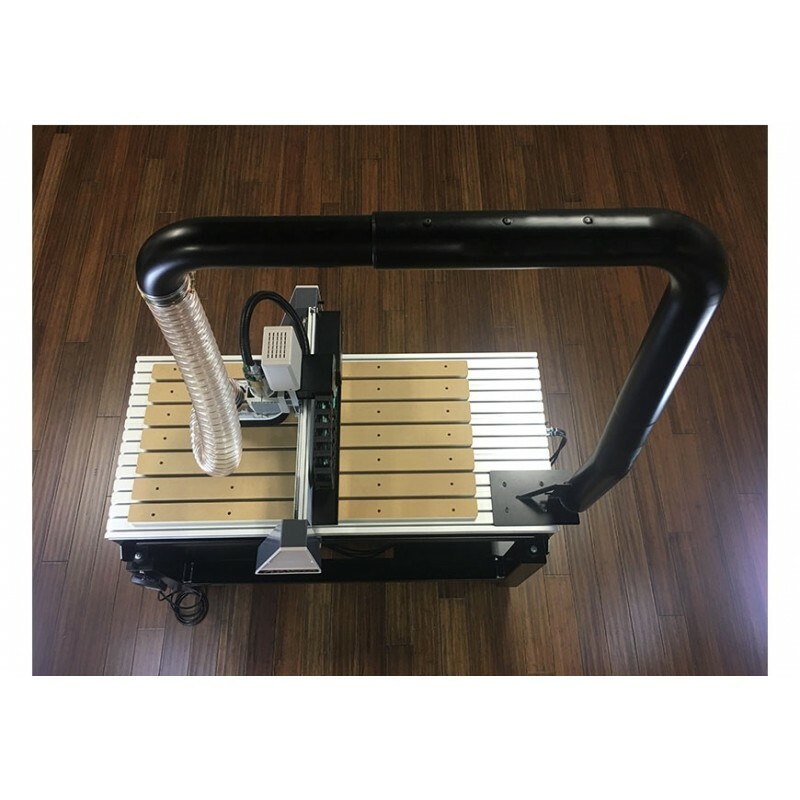 Once installed, this exciting new accessory connects your Axiom Dust Shoe to a smooth, rigid tube via a soft, flexible, clear length of dust hose. 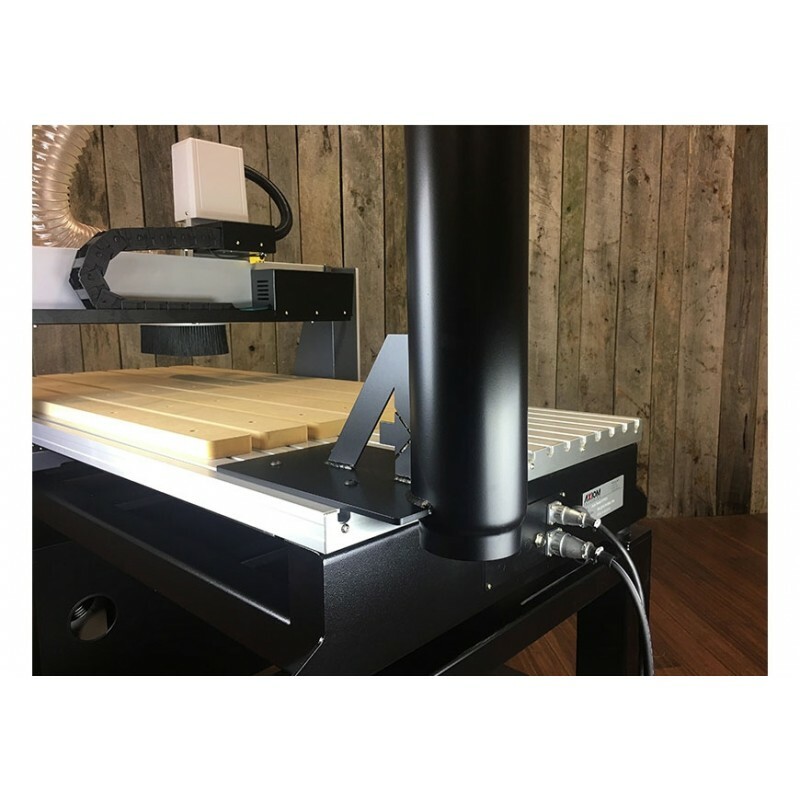 Now your dust collector can be easily connected to the 4” port located at the rear of your Axiom CNC machine.